BS6396 applies to electrical installations in office and educational furniture connected to the supply by a 13A plug complying with BS1363 – the Standard UK square pin plug. Installations complying with BS6396 may also be specified in locations where UK electrical practice and sockets are also used such as the Eire, UAE, Singapore and Hong Kong. Furniture installations connected by other means such as underfloor track tap-offs, Industrial connectors or hard wiring should be installed in accordance with BS7671 Requirements for Electrical Installations. The latest review of BS6396 published in November 2008 widened the Scope of the Standard to include Educational furniture. 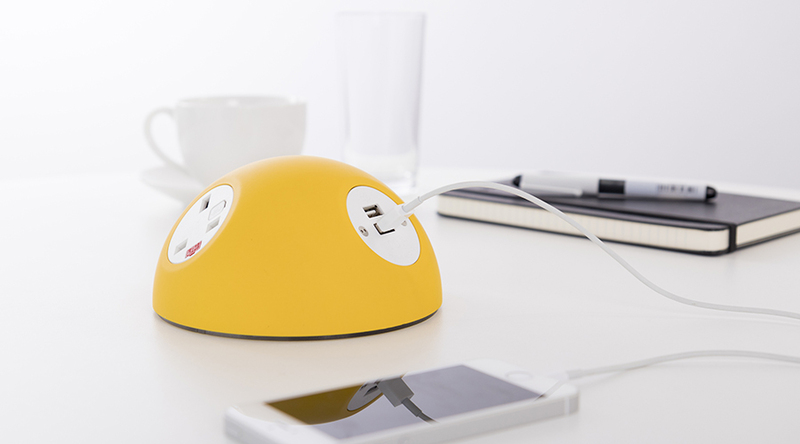 Effectively bringing electrical installations in educational furniture connected by means of a 13A plug under the same rules as commercial office desks and workstations. This change was requested by the British Standard Committee with responsibility for Educational furniture to ensure that students in schools, colleges, universities and training establishments enjoy the same levels of safety as staff in commercial premises. Installations in these establishments connected by other means will need to comply with BS7671. maximum current rating of 5A. The furniture mounted sockets must not be used for high current appliances such as kettles, vacuum cleaners and heaters. If equipment exceeding this rating is to be used on the furniture this must be connected directly to it’s own 13A supply socket. The cable may be routed through the furniture. All sockets must be individually fused – 5A for a maximum of 4 sockets – 3.15A for a maximum of 6 sockets. OE Electrics power modules are fitted with ceramic anti-surge HRC fuses as standard. Replacements must be of the same type and rating and comply with the restrictions as previously indicated. Under no circumstances should glass fuses be used as replacements even though the rating may be the same. For compliance with BS6396 the furniture into which the electrical accessories and cabling are to be installed must comply with relevant structural strength and stability Standards. Facilities for mounting sockets in accessible locations, routes for cables and cable clamps should be provided. Modules available for both earthed and unearthed installations. For guidance please contact our Wakefield office. All OE Electrics modules are supplied with a facility for earthing the module to furniture. Some modules, such as POWERUNIT, POWERBOX, come complete with a 250mm long 1.5mm 2 earth bond cable terminated with M5 ring terminal as standard. Earth leads are available to order for all other modules. The earth bond cables may be removed and replaced to meet the installations earthing requirements. If earth cables are not required please indicate this on placing any order. OE Electrics can provide suitable desktop and under-desk units to meet the requirements of BS6396. All OE Electrics modules are available with individually fused sockets marked with the relevant ratings – 3.15A and 5A. Bespoke solutions available for special applications – meeting rooms – reception desks etc. Please contact OE Electrics Sales or Technical Departments for special requirements and specifications.